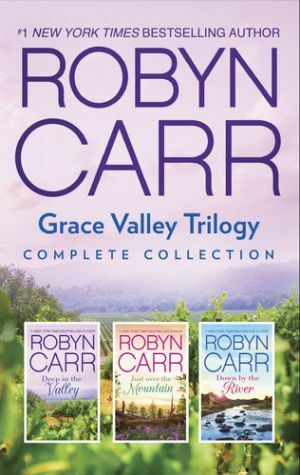 Return to Grace Valley, California, with the complete trilogy of this fan-favorite series by #1 New York Times bestselling author Robyn Carr. The daughter of the town doctor, June Hudson left only to get her medical training, then returned home and followed in her father’s footsteps. Some might say she chose the easy, comfortable route…but June knows better. Her emergency room is wherever she’s needed—or wherever a patient finds her. She is always on call, her work is her life, and these people are her extended family. Which is a good thing, since this is a town where you should have picked your husband in the ninth grade. It’s not exactly the place to meet eligible men—until an undercover DEA agent suddenly starts appearing at all sorts of strange hours. Everybody has secrets down in the valley. Now June has one of her own. In this peaceful community, it’s hard to keep a secret—but Dr. June Hudson has managed to keep one heck of a humdinger. Though visits from undercover DEA agent Jim Post are as clandestine as they are passionate, somehow it fits with her demanding schedule. 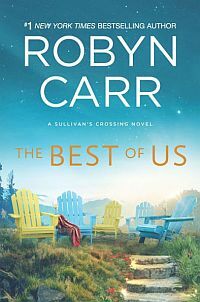 But how can a secret lover compete with a flesh-and-blood heartthrob from her past? June’s old flame has just returned after twenty years—and he’s divorced. June is seriously rattled. So when the town’s most devoted wife takes buckshot to her husband and some human bones turn up in her aunt Myrna’s backyard, June is almost happy for the distraction. Sooner or later, love will have its way in Grace Valley. It always does. People in town are beginning to notice the bloom in Dr. June Hudson’s cheeks—and the swell of her belly. Happily, DEA agent Jim Post is back in June’s arms for good, newly retired from undercover work and ready for new beginnings. And the community is overflowing with gossip right now. Who is the secret paramour June’s aunt Myrna is hiding? Does the town’s poker-playing pastor have too many aces up his sleeve? But when dangers, from man and nature, rise up with a vengeance to threaten June and the town, this community pulls together and shows what it’s made of. And Jim discovers the true meaning of happiness here in Grace Valley: there really is no place like home.